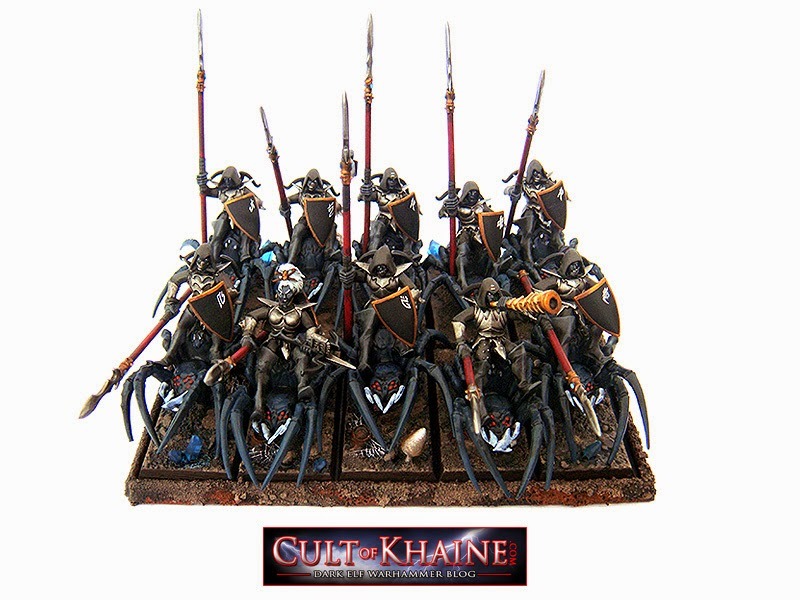 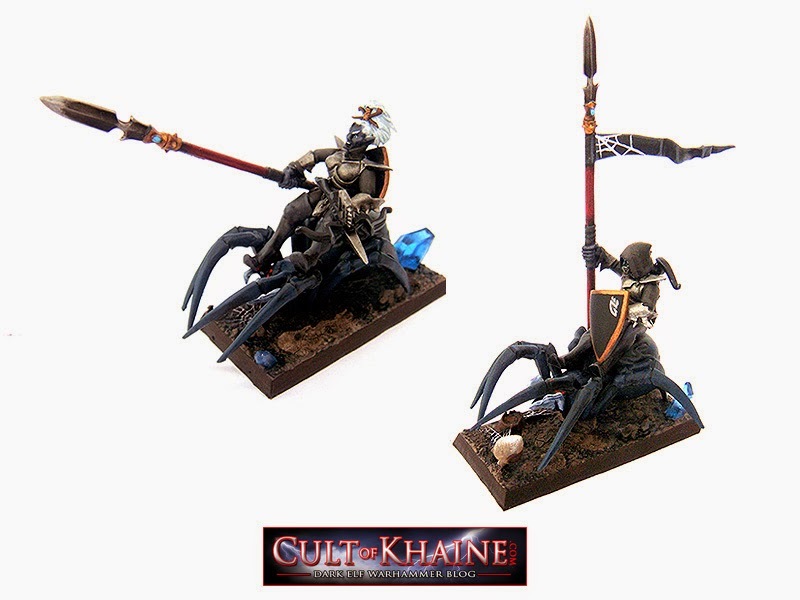 So making progress on this army... have just finished a unit of 10 Spider Riders. 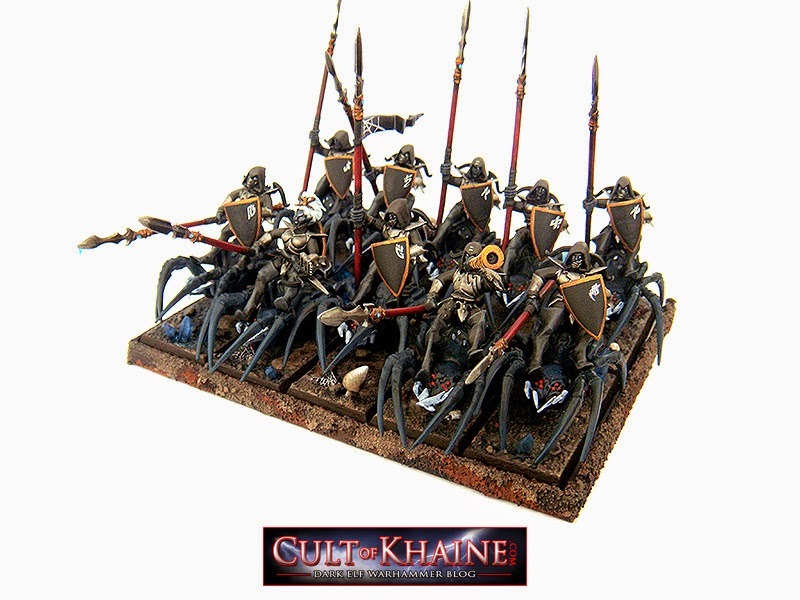 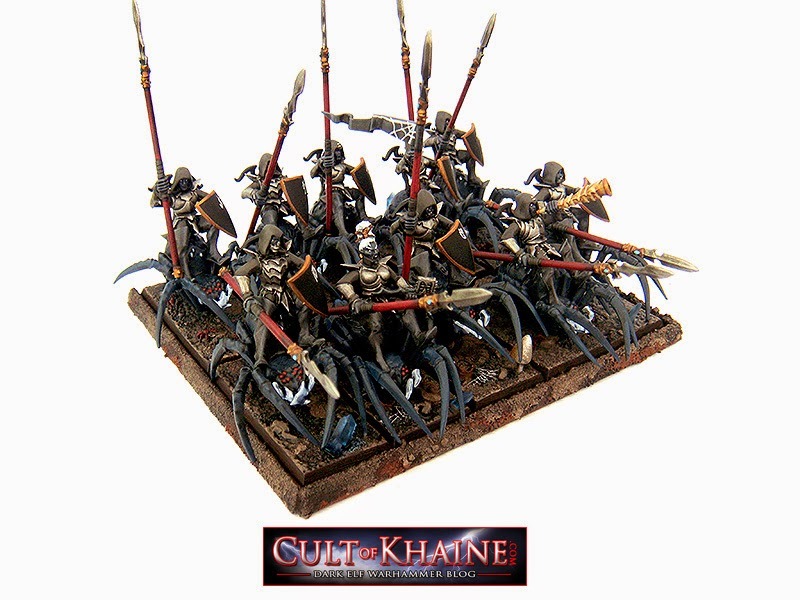 These will proxy for Dark Riders in the army. 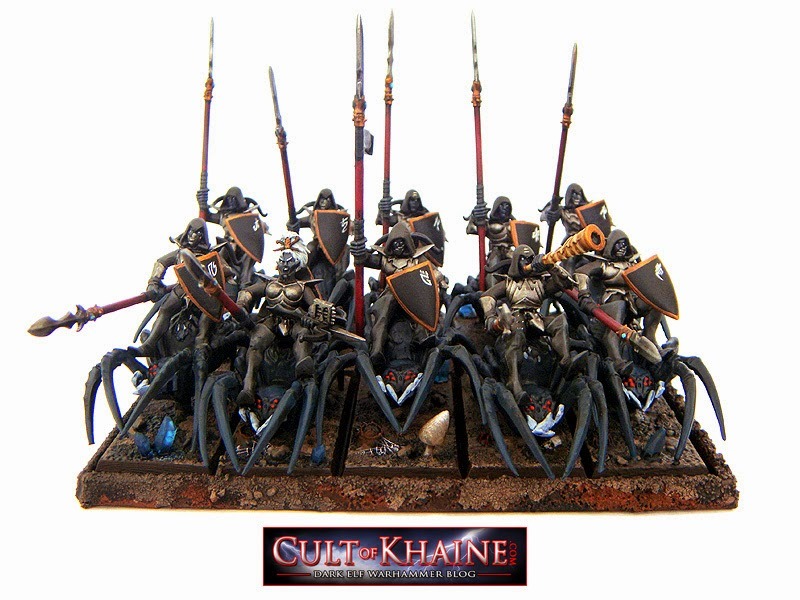 This was a good challenge trying to get the spiders to rank up, I separated the legs on a few of them and staggered them out rather than having them side by side to make the unit look more dynamic.